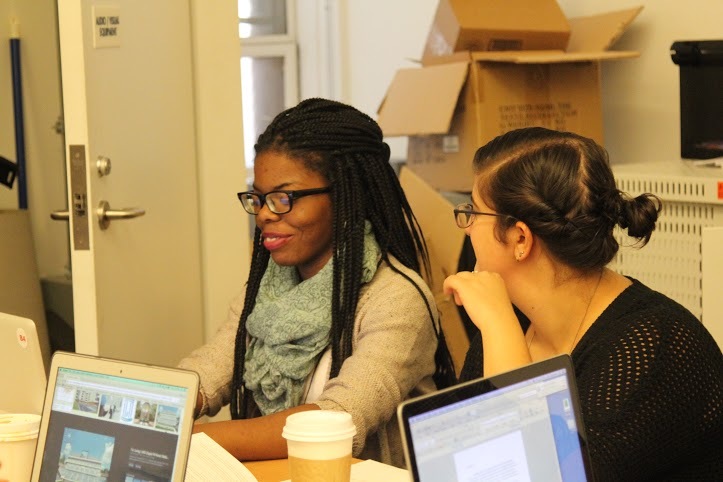 During 826NYC’s 2016 Personal Statement Weekend, tutors will help high school seniors at Bronx Leadership Academy II and the High School of Fashion Industries write, revise, and polish their college application essays. Whether student participants are just starting their essays, almost finished, or somewhere in between, we’re there to help! Participation is free for all seniors at both schools. This event is happening at a crucial time for seniors: just before the deadline for their college applications. 826NYC has partnered with two public schools where students particularly need that extra help necessary to bring their applications into shape; these two weekends will provide essential support to students eager and excited to get into college. If you want to make an impact on the future of a New York City high school senior by volunteering your time on one Saturday in October, sign up here! And no need to worry about being unprepared, we’ll provide all the training you’ll need at the school on your volunteer day. Personal Statement Weekend is the perfect chance to make a huge difference in the life of a NYC student, and the only commitment is an hour-long, same-day training and one afternoon working one-on-one with a student. There will be plenty of time to get to know your student and help craft a top-notch essay. Last year, ninety-eight students from across New York City participated in 826NYC’s second annual Personal Statement Weekend, and now they are off to schools in the city, including Barnard, NYU, Hunter, Pace, and SVA, and others are out-of-state at Yale, Smith, and Babson. Sign up to help a student craft their essay, and their future, during 826NYC’s 2016 Personal Statement Weekend.